Our driving instructors in Stourport also cover all surrounding areas in Worcestershire. We offer first class driving tuition and intensive courses and have a record for excellent pass rates. We offer normal lessons, off-road lessons for the under 17's, lessons in an automatic car and we have both male and female instructors. We have a choice of cars to learn in (including the Mini Cooper) all of which are chosen to be learner friendly. Whether you have just received your provisional or are nearly ready for test we can help you achieve your goals. 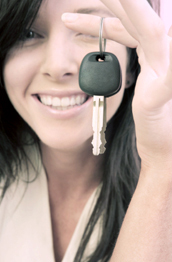 Naturally, each of our driving instructors are pass plus and DSA registered. Which ever driving school you use, always check your driving instructor is displaying a pink or green DSA badge. So if you are looking for a quick and safe way to learn to drive in Stourport, you have come to the right driving school. With our successful intensive courses, you can take upto 30 hours of tuition in one week. These are ideal for those who want to pass in a short space of time and already have a little driving experience. Why not look at some our recent successes by browsing our testimonials and recent passes. We go futher than any other school to make sure your lessons are a pace you feel comfortable with, and we aim to give every chance to pass your test first time. We also able to provide lessons in the following the areas: Stourport, Kidderminster, Blakebrook, Buttonoak, Dunley, Rock, Stone, Upper Milton, Wilden, Wribbenhall, Far Forest, Neen Savage, Trimpley, Kinlet, Upper Arley, Cleobury Mortimer, Mamble, Astely Cross, Cutnall Green ,Shenstone, Wolverly, Shatterford, Harvington, Rushock, Crossway Green, Doverdale, Hartlebury, Areley kings, Abberley, Astley, Bewdley, Far Forest, Franche, Cookley, Kinlet, Norchard, Witley, Hagley, Stourbridge and all locations throughout Worcestershire.